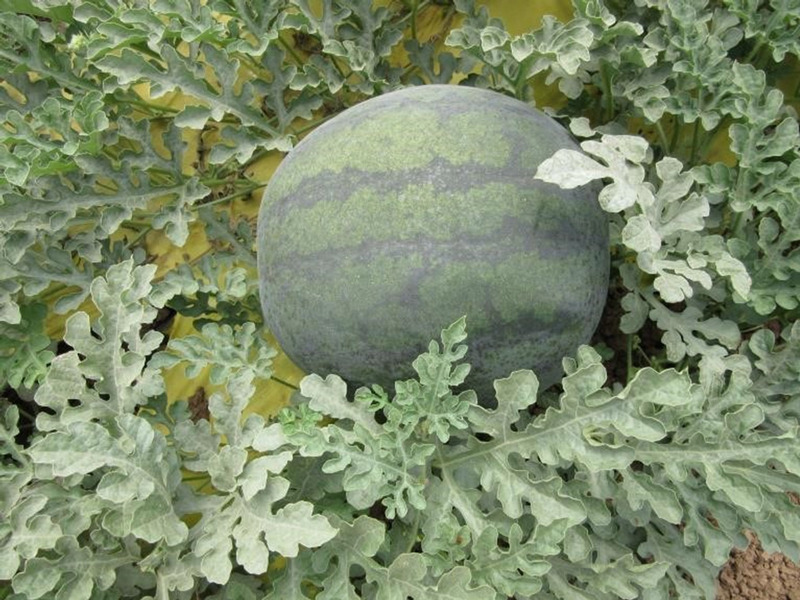 Watermelon - Seeded | Shneor Seed Co.
Sugar baby" type with dark skin, round shaped with very uniform diameter. The flesh has great deep red color, crispy and with high sugar content. The plant is vigorous, with good leaf covering and very early cycle of 70 days after planting. Recommended for open fieled crops. Average fruit weight: 6 kg. 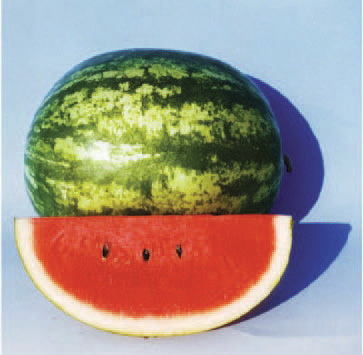 Crimson type,Relative maturity 95 days from sowing.Fruit weight: 10-14 kg.Fruit shape: oblong,Rind color:green with wide dark green stripes.Flesh bright red, juicy and sweet.Resistance to cracking. Stores well, suitable for shipping. Type: Crimson. 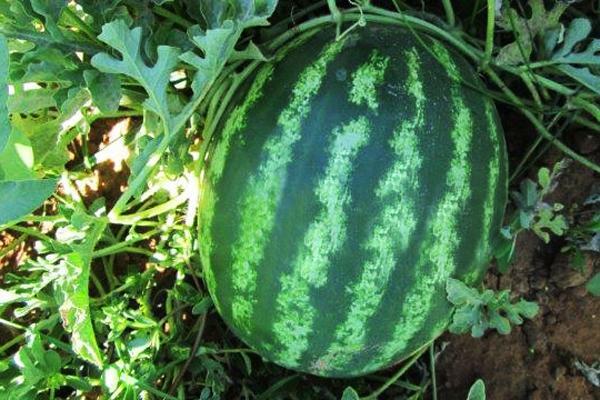 Days from sowing: 90 days; Weight:9-12Kg Shape: Oblong; Rind color: Green with wide dark green stripes; Flesh: Brilliantly red, juicy and sweet 12% Sugar; Characteristics: Rind is thin but tough. Good for storage and shipment, medium early and productive; Growing conditions: Widely adaptive to high temperature and humidity; Resistance: Stores well. Good shipper. 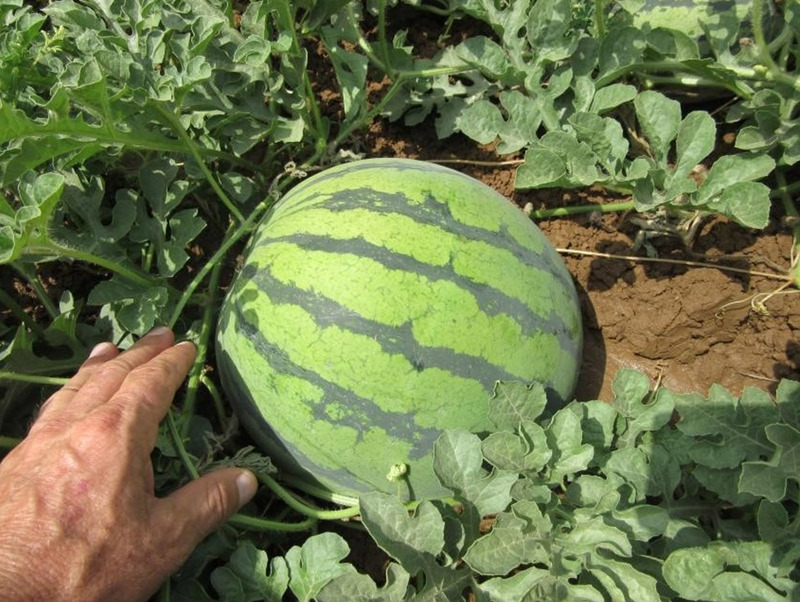 Seeded Watermelon - Hybrid F1. Plants are very vigorous, stable in quality and yield. Fruit is about 10-15 kg. Flesh is bright red with black seeds, very attractive, crispy, juicy and sweet. Rind is smooth, light green with green stripes. Strong plant, productive stable plant. Brix 12. Fruit color: red. Weight: 4-6 kg. Type:crimson;Shape:oval shape, big fruit;Weight:15+ kg;Good for Shipping and storage . 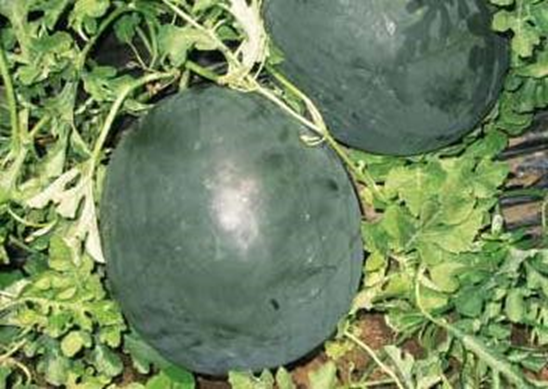 Dark green oval shape, Days from sowing: 95 days, Weight & Shape:12-15 kg, oval, Rind color: Dark green, Flesh: Red and sweet. Crimson type,Relative maturity 95 days from sowing. 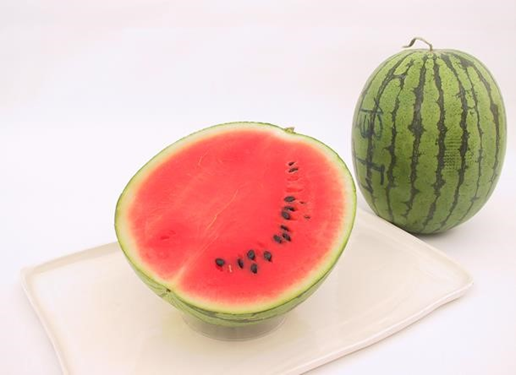 Fruit weight: 10-12 kg, Fruit shape:short oblong Rind Color: attractive green with wide dark green stripes. Flesh: bright red, crisp, firm, juicy and sweet. Resistance to cracking. 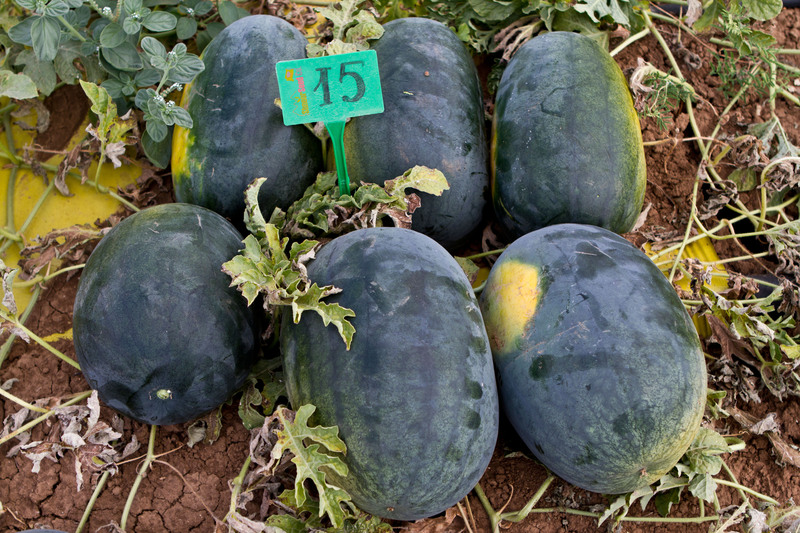 Features: super vigorous variety,productive, tolerant to heat,Suitable for shipping. Strong plant, big fruits with high brix. Fruit color: red. Fruit weight: 13-16 kg. 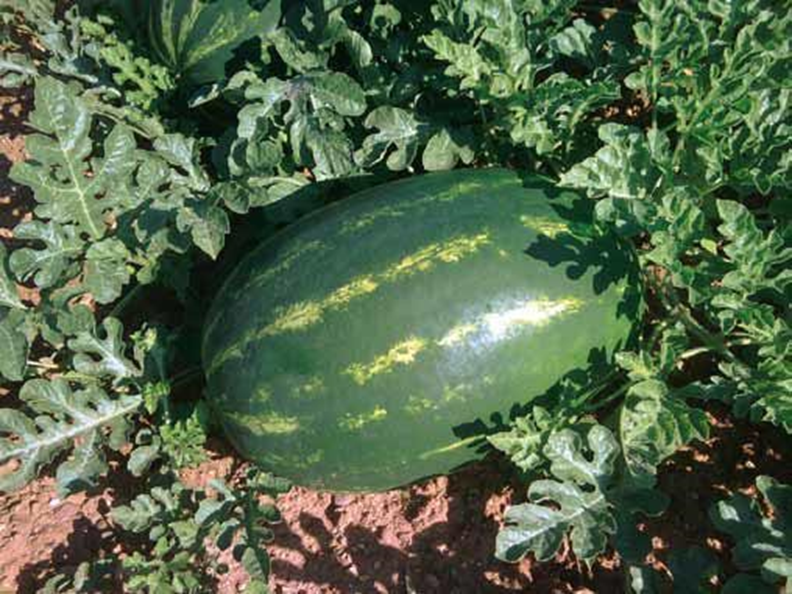 Very special watermelon Fast growing, with low seeds content. Fruit weight:1-2 kg. Amazing taste, red flesh ,juicy and sweet. Strong plant. 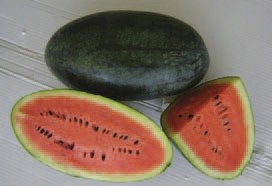 Fruit shape: oval, tiger- stripe rind. Weight: 3-5 kg. Color: pattern with green background. Nice red and firm flesh. The plant is vigorous, with early cycle, high fruit setting. Classic Crimson type. Great flesh quality. 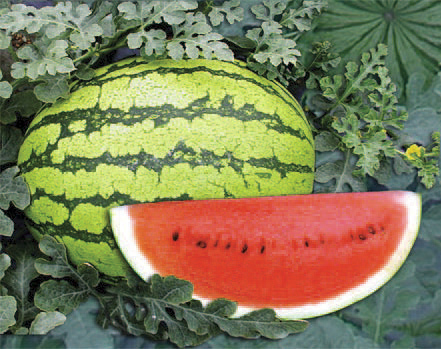 Fruit color: bright green with dark stripes. Excellent cylindrical shape. Weight: 12-14 kg. Intermediate resistance (IR) to: Colletotrichum orbiculare (formerly Colletotrichum lagenarium) (Co 1) and Fusarium oxysporum f.sp. niveum (Fon 1). Super vigorous variety, productive, tolerant to heat. The globe shaped fruit is durable and strong, weighs 7-10 kg. Resist cracking, which makes it suitable for shipping. Flash is crisp, firm, juicy and sweet. Attractive green rind, with broad dark blue stripes. Plants are early medium, very vigorous, productive, stable and heat tolerant. Fruit is short oblong. Weighs 7-10 kg, durable, strong and is more resistant to cracking which makes it good for shipping. Fruit is green rind decorated with broad dark blue stripes. The flesh is firm, crisp, sweet and juicy.